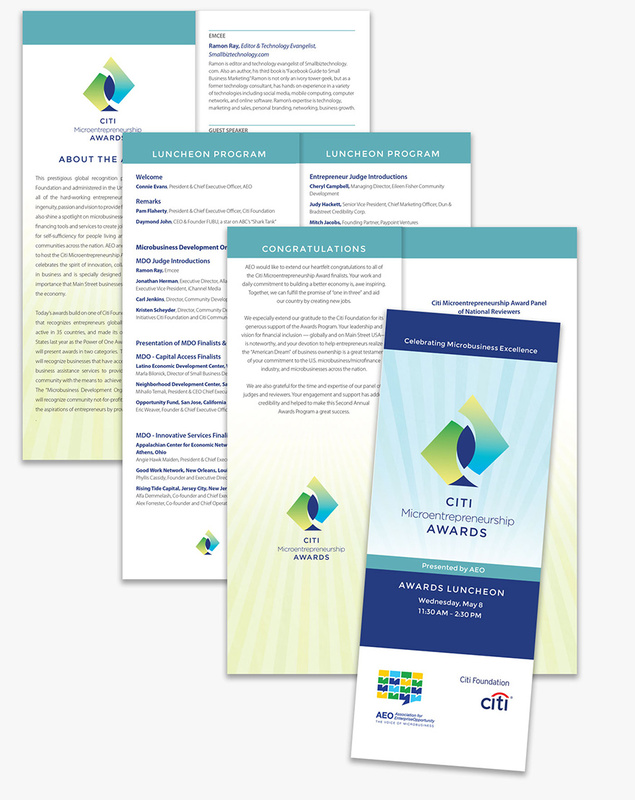 The Citi Microentrepreneurship Awards (CMA), funded by the Citi Foundation was a contest created by AEO to shine a spotlight on microbusinesses using innovative financing tools and services to create jobs and boost opportunity for people living and working in low-income communities across the nation. The website was designed to provide all the information about the awards, profiles of past recipients, and the application process. In addition to enticing companies to apply for the awards, we needed to provide information about AEO’s current initiatives and the event where the awards were to be presented. 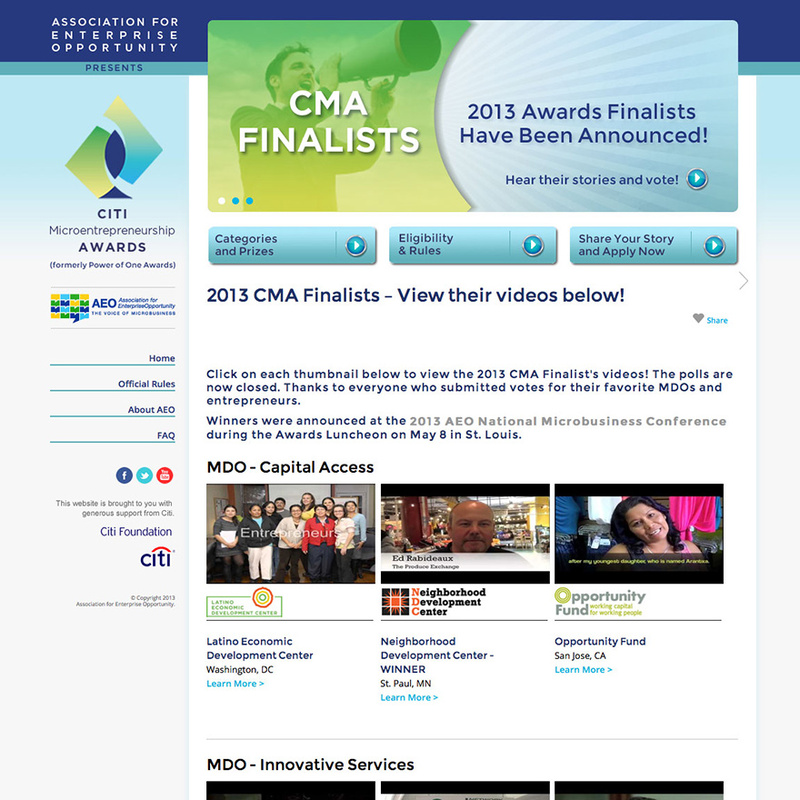 We also designed a page where later on, videos were displayed from each of the finalists. 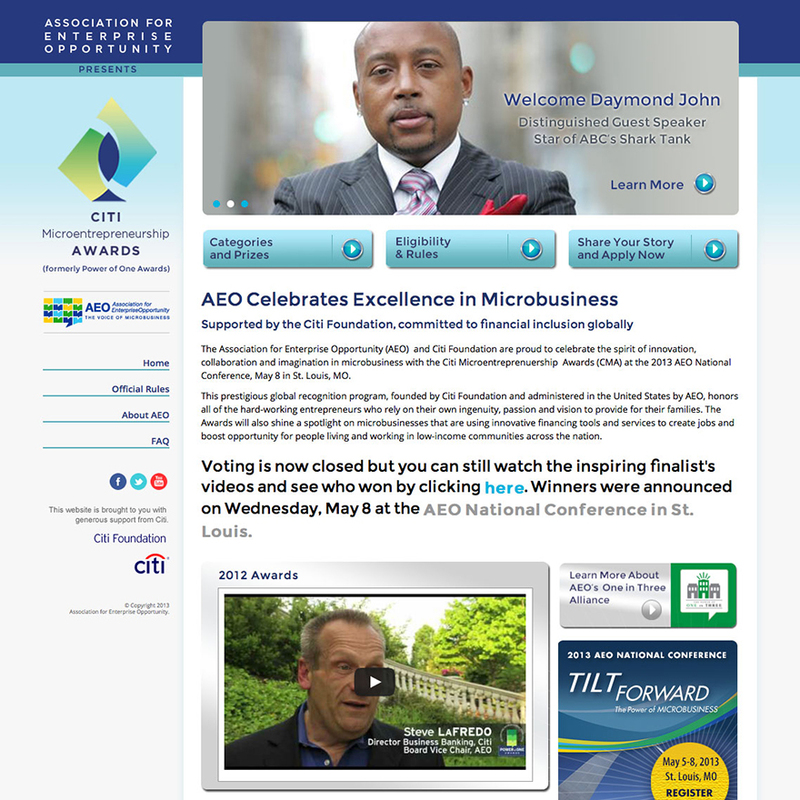 The winners were announced at a luncheon held during AEO’s 2013 annual national conference held in St. Louis. I also designed the program guide and signage for the luncheon. This project was designed and coordinated along with the production of all of the materials for the 2013 annual conference.